Do you understand your key responsibilities and potential liabilities as a defined contribution plan sponsor? 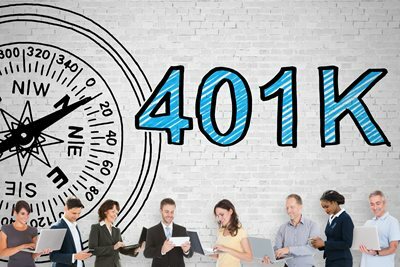 We provide many 401(k) retirement account plan services: design and consulting, investment consulting, plan administration and recordkeeping, and participant education. Our turnkey solution to 401(k) accounts relieves your administrative burden and allows you to delegate most of your fiduciary responsibility. Retirement planning may not be one of your corporate core competencies, but it is one of ours. We start by analyzing your current plan (if you have one) to provide a total cost benchmarking report -- fulfilling your obligation as a plan sponsor to review retirement plan expenses for reasonableness and mitigating your fiduciary risk. Then we'll review your current investment options to see how the plan assets are performing and if they're well-diversified. Finally, we’ll assess how any changes to the design of the plan may enable owners and other key employees to substantially increase the level of tax-deferred retirement savings allowed by the plan. We’re pleased to offer a retirement plan solution designed to help participants achieve better outcomes and encourage employee contributions. A 401(k) retirement plan from us offers an array of top-quality institutional investment products for your plan assets. Your participants get a menu of investment choices, including risk-based model portfolios that have been proven effective in achieving better outcomes. We emphasize low-cost investment options that seek to achieve better net returns. Finally, we provide employee education and engagement programs to increase participation, enhance decisions, and raise appreciation for the plan.